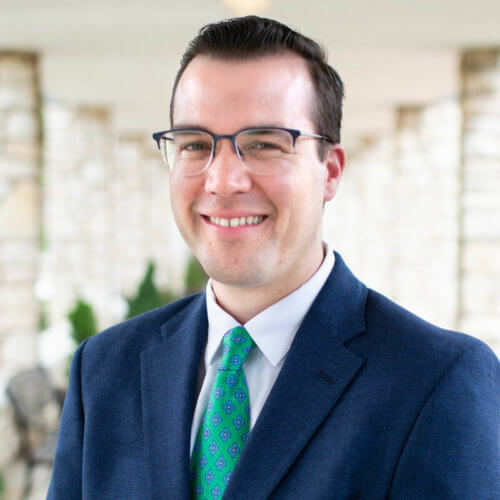 Matthew Barrett is Associate Professor of Christian Theology at Midwestern Baptist Theological Seminary. He is also the founder and executive editor of Credo Magazine, an evangelical publication making theology accessible to those in the church. He is the host of the Credo podcast, where he has conversations with the best theologians today to discuss the most important issues in theology. He is the author of numerous books, including None Greater: The Undomesticated Attributes of God (Baker), God’s Word Alone: The Authority of Scripture (Zondervan), 40 Questions about Salvation (Kregel), Owen on the Christian Life: Living for the Glory of God in Christ (Crossway), and Salvation by Grace: The Case for Effectual Calling and Regeneration (P&R). He has also edited books such as The Doctrine on Which the Church Stands or Falls: Justification in Biblical, Theological, Historical, and Pastoral Perspective (Crossway), Reformation Theology: A Systematic Summary (Crossway), Four Views on the Historical Adam (Zondervan), and he is the series editor of The 5 Solas Series with Zondervan. He has several forthcoming books that will release in the years ahead, including Canon, Covenant, and Christology: Rethinking Jesus and the Scriptures of Israel, which will be published in the New Studies in Biblical Theology series edited by D. A. Carson (IVP); Getting the Trinity Right (Baker); The Mystery of Inspiration and the Doctrine of God: An Evangelical Dogmatic Account (Baker Academic), and The Reformation: A History (Zondervan). He regularly writes for academic journals such as Journal of Theological Studies, International Journal of Systematic Theology, Sixteenth Century Journal, European History Quarterly, Journal of the Evangelical Theological Society, and Southern Baptist Journal of Theology, as well as more popular publications such as Modern Reformation and Christianity Today. He is originally from California, receiving his BA from Biola University in La Mirada, CA. He received his MDiv and PhD in systematic theology from The Southern Baptist Theological Seminary in Louisville, KY. Prior to MBTS he was Lecturer of systematic theology and church history in the UK and Assistant Professor of Christian Studies at California Baptist University. During his time in California, he was also Senior Pastor of Fellowship Baptist Church in Riverside, CA. Dr. Barrett is passionate about theology and loves nothing more than seeing his students hungry to learn the great doctrines of the faith in order to know God more. Having served as a pastor in the local church, he is a theologian with a pastor’s heart, always eager to demonstrate how doctrine leads to doxology. He is married to Elizabeth and they have four children. They love KC BBQ, rooting for the Royals, Chiefs, and Jayhawks, and serving at Emmaus Church. You can follow his weekly online writings at Credo Magazine, and follow him on Twitter. None Greater: The Undomesticated Attributes of God — Baker, 2019. The Doctrine on Which the Church Stands or Falls: Justification in Biblical, Theological, Historical, and Pastoral Perspective — Crossway, 2019. 40 Questions about Salvation — Kregel Academic, 2018. Reformation Theology: A Systematic Summary — Wheaton, IL: Crossway, 2017. God’s Word Alone: The Authority of Scripture — The 5 Solas Series. Grand Rapids: Zondervan, 2016. John Owen on the Christian Life: Living for the Glory of God in Christ — Wheaton, IL: Crossway, 2015. 40 Questions about Salvation — Kregel, 2017. Four Views on the Historical Adam — Edited by Matthew Barrett and A. B. Caneday. Contributors: Denis O. Lamoureux, John H. Walton, C. John Collins, William Barrick, Gregory A. Boyd, and Philip G. Ryken. Grand Rapids: Zondervan, 2013. What is Regeneration? (Basics of the Faith) — Phillipsburg, NJ: P&R, 2013. Salvation by Grace: The Case for Effectual Calling and Regeneration — Foreword by Thomas Schreiner and Bruce Ware. Phillipsburg, NJ: P&R, 2013. The Five Solas series. — Series Editor. Grand Rapids: Zondervan, 2012-2017. The Grace of Godliness: An Introduction to Doctrine and Piety in the Canons of Dort — Joshua Press, 2013. Whomever He Wills — Founders Press, 2012.